Yifan Wu appeared on Show 229, recorded in April 2011, at ate 17. 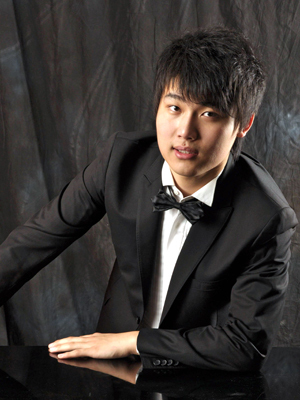 Yifan Wu (piano), 18, is from Flushing, New York and was born into a musical family, with both his parents teaching music at home. He is a recipient of From the Top’s Jack Kent Cooke Young Artist Award. Yifan attends the Professional Performing Arts School in New York City and studies piano with Veda Kaplinsky at The Juilliard School. He has participated in his school’s chorus and can play pop music on the piano. Outside of music he enjoys soccer, swimming, and talking with his friends. Yifan is a Jack Kent Cooke Young Artist.